Florida lawmakers are considering giving higher pay and early retirement to state employees working with people who have a criminal past and also a mental illness. Jasper Laster works with criminally-committed mental patients in the Chattahoochee hospital. He says his job is traumatic, mentally exhausting, and often dangerous. "I have been attacked a couple times on the job, as well. I've been hit in the head. I've been kicked. I've had chairs thrown at me as well," said Laster. That's why lawmakers want state workers to receive better pay and early retirement if they spend 65 percent of their time in contact with criminal patients suffering a mental illness. Laster is just one behavioral specialist who says he's been attacked by patients several times and says he puts himself at risk going to work everyday. There are 1800 state workers who fall under this category. "I've been victimized, traumatized. Those things don't just leave you overnight. I'm out here fighting for my life and fighting for my kids to have a better home and a better place and no body else seems to care what's going on," said Donald Bailey who works at Sunland Developmental Disabilities. 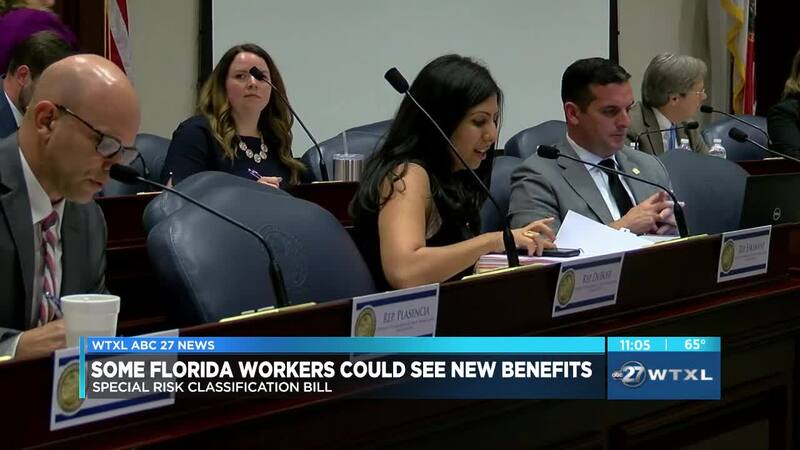 Under House Bill 803, employees at 4 Florida mental facilities will have similar benefits to law enforcement, firefighters and correctional facility workers. "We believe that the fiscal impact will be around six million dollars but to make sure that we have a very clear sense of what it will cost the state, we're going to request an actuarial study and then bring the bill back up again," said Rep. Vance Aloupis, Florida House District 115. The bill will revisit the committee for a final vote after data is gathered from the four facilities. Two of the mental health facilities are in Marianna and Chattahoochee in Florida's Big Bend region. The other two are in Gainesville and MacClenny.